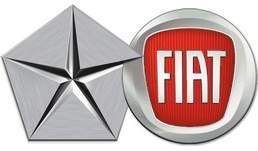 DETROIT -- Chrysler Group will build its first Fiat-derived four-cylinder engine for North America at a Michigan factory. CEO Sergio Marchionne disclosed the plans today for Fiat's 1.4-liter “fully integrated robotized engine,” or FIRE. The engine first will be used to power the Fiat 500 minicar to be made in Mexico for sale in select Chrysler showrooms in the United States late next year. Chrysler will spend $179 million to begin production of the engine at its Global Engine Manufacturing Alliance plant in Dundee. Production will begin in the fourth quarter of 2010 on one shift with an annual capacity of 100,000 engines. Finished engines then will be shipped to Chrysler's factory in Saltillo, Mexico, where the Fiat 500 will be assembled. “Half the 500s will come back to the U.S. and half will be for sale in Latin America,” including Mexico and Brazil, Marchionne said. The company said the project would create 573 new jobs, including 155 at the plant. Chrysler is exploring other applications for the engine, and a 175 hp turbocharged version is planned. The basic engine delivers 100 hp at 6,750 rpm and 95 pounds-feet of torque at 4,250 rpm. The engine features Fiat's multiair technology, designed to reduce emissions while improving performance and fuel economy. The Dundee plant already makes 2.0-liter and 2.4-liter engines for Chrysler. Marchionne was joined by Michigan Gov. Jennifer Granholm at the automaker's Auburn Hills, Mich., headquarters. She thanked Marchionne for the plant expansion. According to a November statement from Granholm's office, the Michigan Economic Growth Authority approved a tax credit valued at $4.6 million annually over 10 years. The village of Dundee granted its own tax abatement of $176 million to Chrysler. Building a small four-cylinder engine in a U.S. plant is one of three milestones Fiat must reach to increase its stake in Chrysler to 35 percent from a current 20 percent, according to a deal approved in June by the U.S. Bankruptcy Court. With each milestone, Fiat may boost its holdings by 5 percentage points.